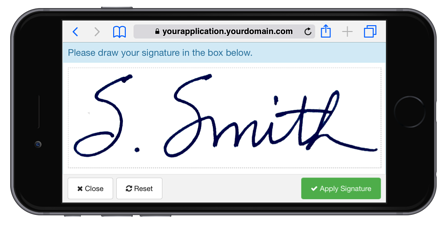 This demonstration of AlphaTrust e-Sign™ is for a single person signing, no authentication, using a handwritten, or mobile signature with document delivery via email. The signed and completed document is then delivered to the user via the email address provided. Please note the document is marked for demo use only and is not enforceable. This workflow completes with a redirect to a custom web page, which is a demo landing page on the AlphaTrust website.